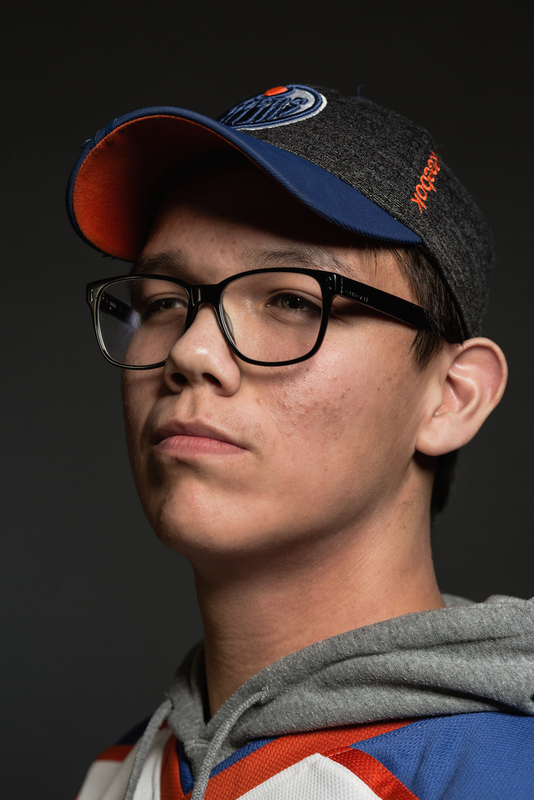 At most Oilers’ home games, as people scurry into Rogers Place past chill winds in Edmonton’s downtown core, you can find Blair Gladue as “Mr. Magoo” sporting head to toe custom costumes, face-paint and, always, a drum. Singing, cheering, high-fiving, and posing for the occasional photo, he looks like he could be an employee but Gladue does it strictly for the love of the game. At the games “all the negativity you see on the streets or at homes or on TV or wherever, that’s all gone, out the window. And all the racism and discrimination, there’s so much out there and all the bullying, but once you put on that Oilers stuff and go to the game, you’re family. All of that don’t matter,” he says. 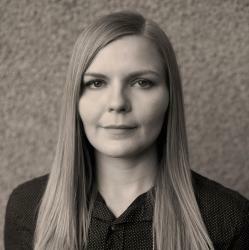 Even as Canada discusses reconciliation, social division between the country’s First Nations and the general population is still the norm across the country. But hockey is loved equally on reservations, if not just a little bit more. In cities, towns and Indigenous communities from coast, to coast, to coast, hockey offers an un-fraught meeting place where nations can have fun and just enjoy the sport together. This camaraderie is a welcome relief from often difficult realities but hockey is truly Canada’s sport and its history parallels that of the country, including its dark and ugly episodes. 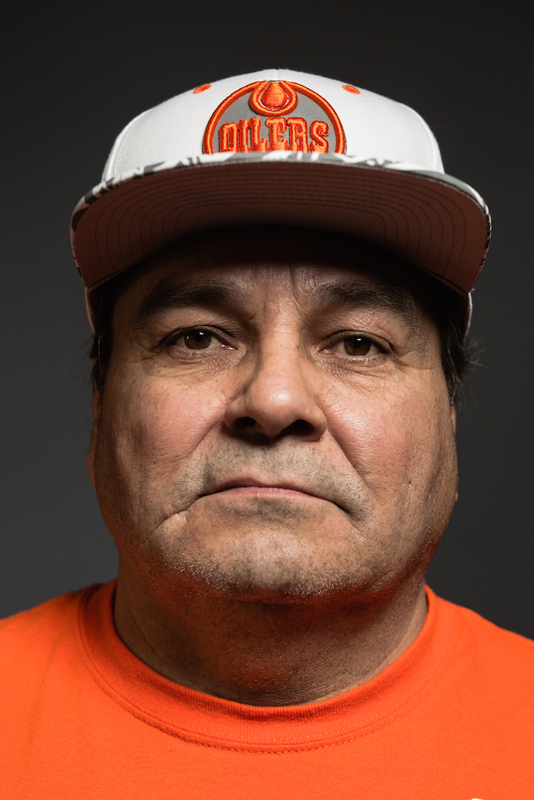 When he was only 6-years-old, Fred Saskamoose, the NHL’s first ever treaty status player, was violently taken from his family to go to St. Michael’s Indian Residential School at Duck Lake. 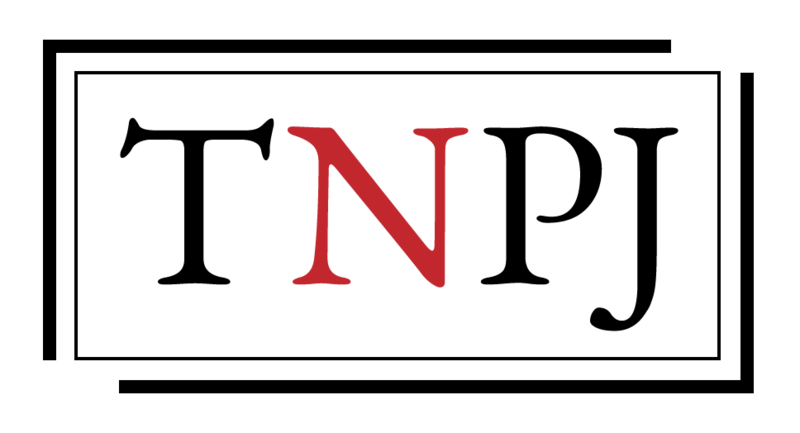 There he was sexually abused, as he told the Truth and Reconciliation Commission. He also played hockey at the school. Reflecting on his career, he credits the game with helping him to survive the experience. 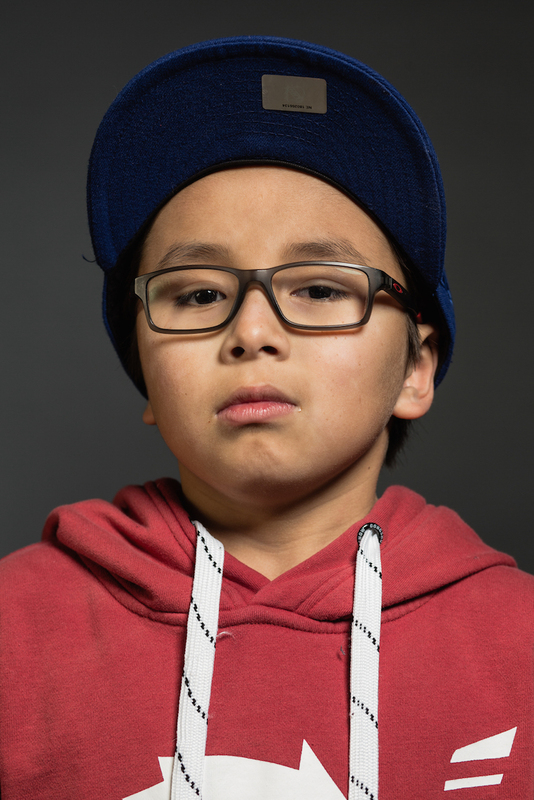 But just as it did with hundreds of thousands of other Indigenous children, the injustices Saskamoose suffered left a lasting impression on him. When he did get his big NHL break in the 1953-54 season, he played just 11 games with the Chicago Blackhawks before returning home to focus on healing. 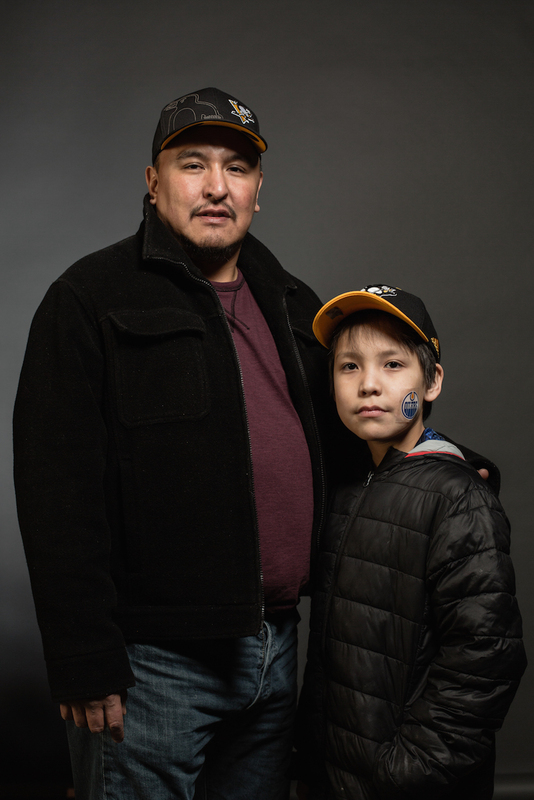 “Hockey was what saved people in residential schools, myself as well,” says Chief Willie Littlechild, a former Member of Parliament and community Elder, echoing Sasakamoose’s sentiments when he joined him for a centre ice ceremony at the Rogers Place in late December. 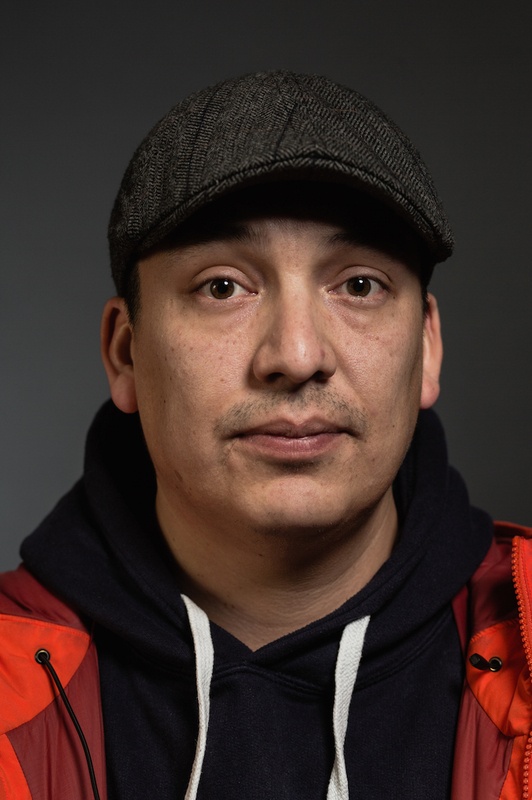 As an advocate and leader for his people, Littlechild also recognizes acts of reconciliation within the game. 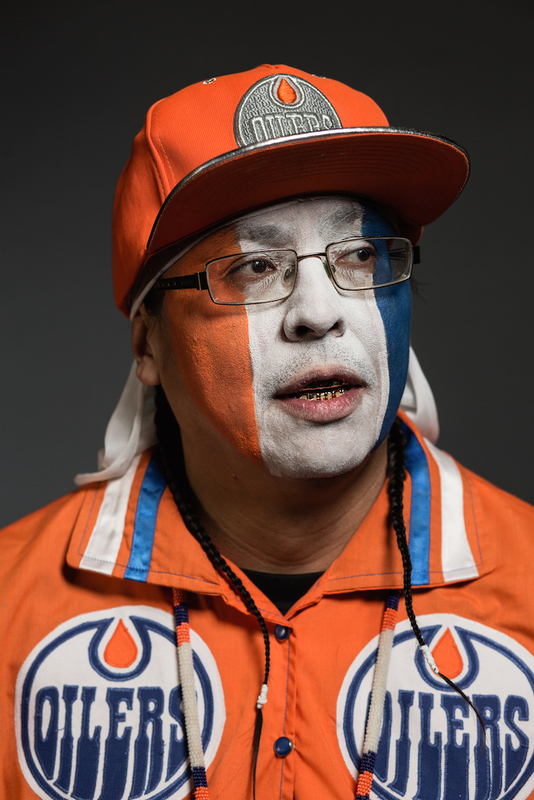 At the invitation of the Edmonton Oilers, he has been involved in smudging the new arena in addition to performing two pipe ceremonies there. The invitations seem to be part of a broader inclusiveness from the Oilers organization. For their new arena, Rogers Place, the Oilers commissioned a piece from Dene artist Alex Janvier. The tile mosaic installation, Tsa tsa ke k’e, (Iron Foot Place) is a permanent part of the new building, where performances by drum groups and dancers were part of the grand opening. Meanwhile, despite early resistance to drum group the Logan Alexis Singers, who were forced off Oliers property for singing their song inspired by hockey phenom Connor McDavid, the singers have now become a regular feature at home games. The Oilers even invited the group to mark the team’s return to the playoffs in 2017 with back to back performances in the arena’s lobby. But Indigenous heritage and culture was not always so welcome in the NHL. “Early on, lots of players hid their heritage just so things wouldn’t be so hard for them,” says Naim Cardinal. That fact made it harder for him when he was building his collection of all 70 Indigenous NHL players to have played in the league’s history. The collection is the first of its kind. For the former counsellor and coach, recognizing Indigenous contributions to hockey is an important source of pride. 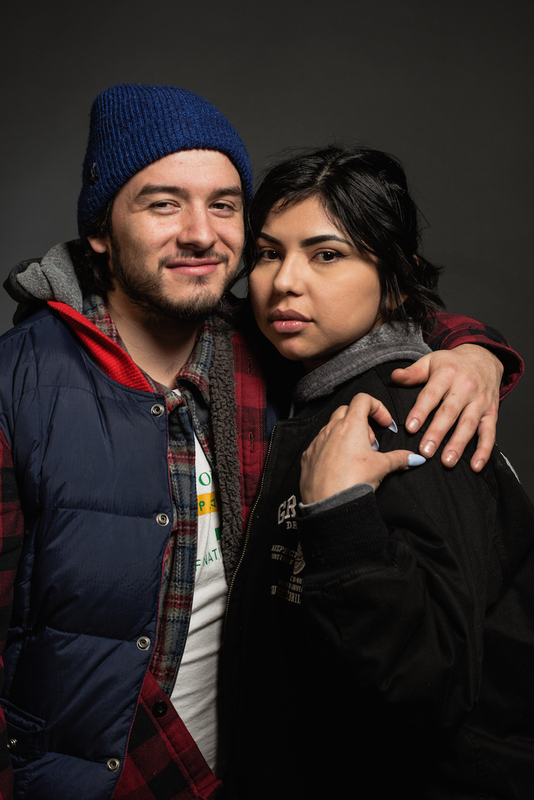 “I think it’s important for young people to see this too. They have all these people to aspire to be like,” says Cardinal. Although there are just five Indigenous players currently active NHL rosters, each one is a huge source of pride for the communities they represent. Players like Montreal Canadiens goaltender Carey Price, who has Nuxalk and Southern Carrier heritage, and New Jersey Devils right winger Jordin Tootoo, who is the first Inuk player in the NHL, are fan favourites not just because they are Indigenous but because of the way they play when they’re on the ice. Women too, are breaking barriers. 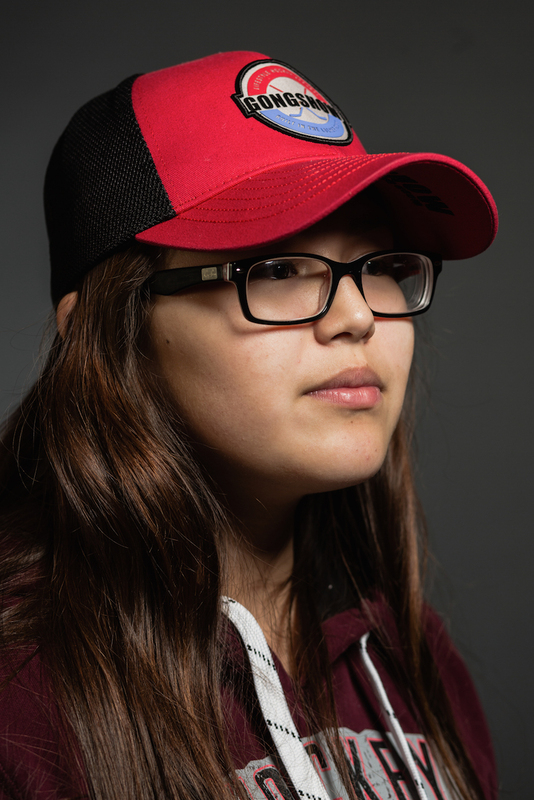 Brigette Lacquette recently became the first Indigenous woman to be named to an Olympic team when she was announced to Canada’s roster for the 2018 Olympics. 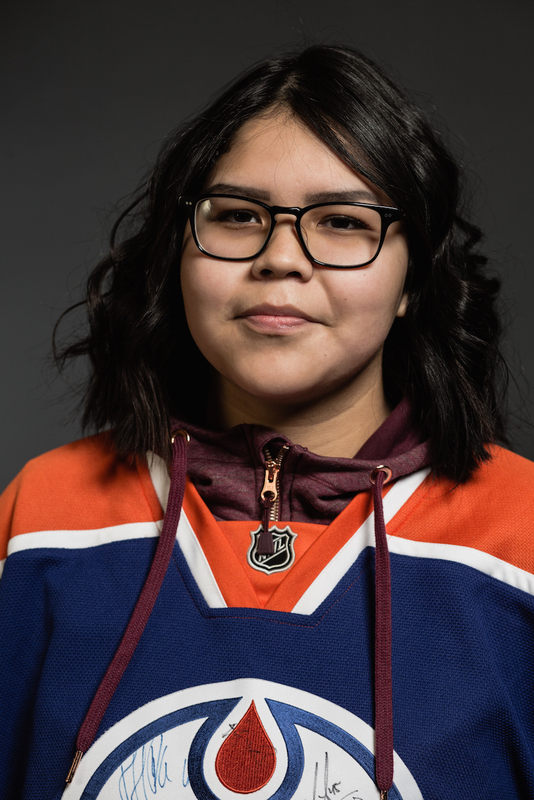 True North Photo Journal asked 14 Indigenous hockey fans what makes hockey so special to them. Here’s what they had to say. 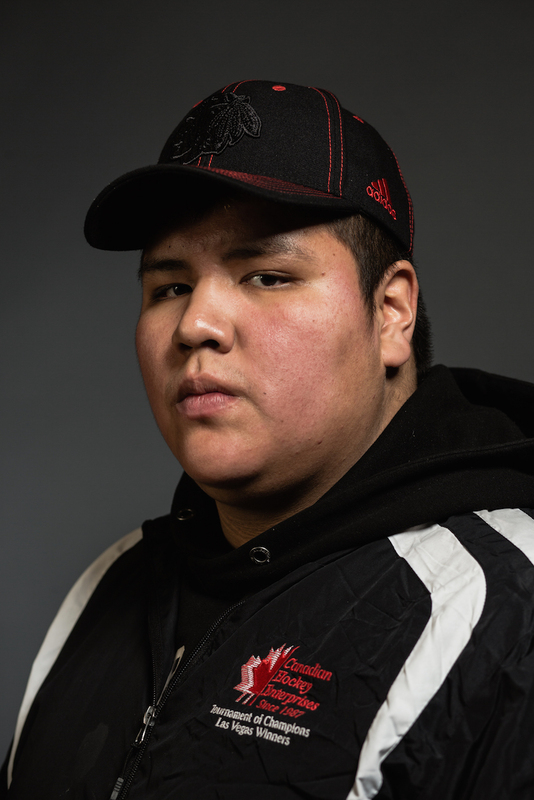 With such an inspiring group of players making names for themselves, the already wildly popular sport is unlikely to suffer a decline in Indigenous communities. 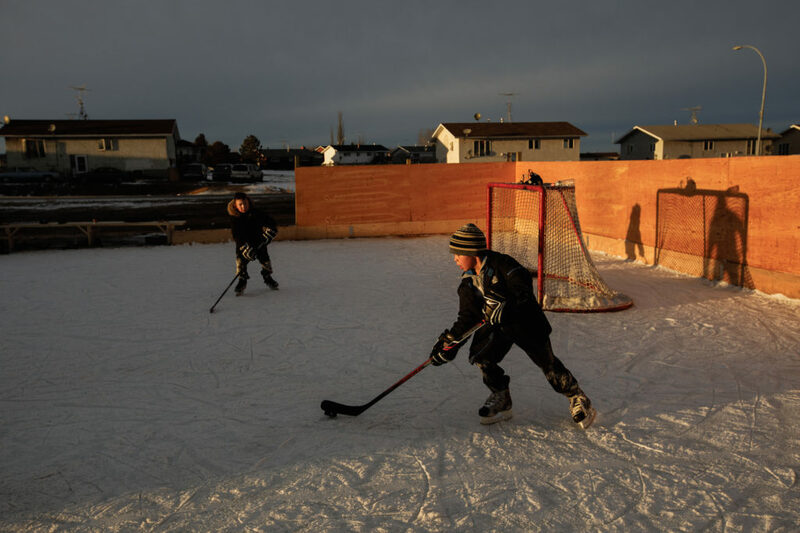 Both Maskwacis, a community south of Edmonton comprised of the Ermineskin, Samson, Louis Bull and Montana First Nations, and Enoch First Nation just west of the city have their own Minor Hockey Associations with multiple facilities for kids to access organized hockey. In Enoch, there is even per child band funding so kids get the equipment they need, can pay for league fees and for travel. Samson just supported a community initiative to replace a run down playground with an outdoor arena. 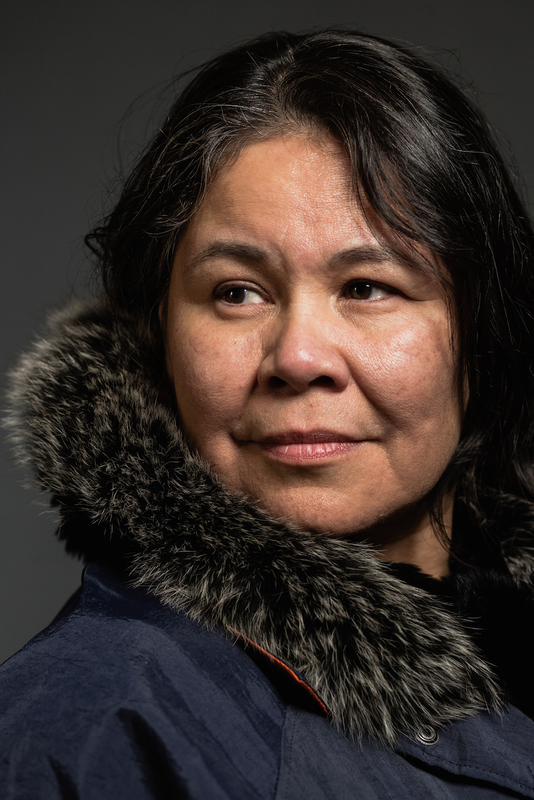 Scarlett Papin, an Enoch Cree First Nation artist, has two daughters and three sons with her husband James Cardinal. She didn’t have the opportunity to play hockey but says having her children play got her involved in the game. “My kids have really been my motivator when it comes to beading and my love for the game,” says Papin. 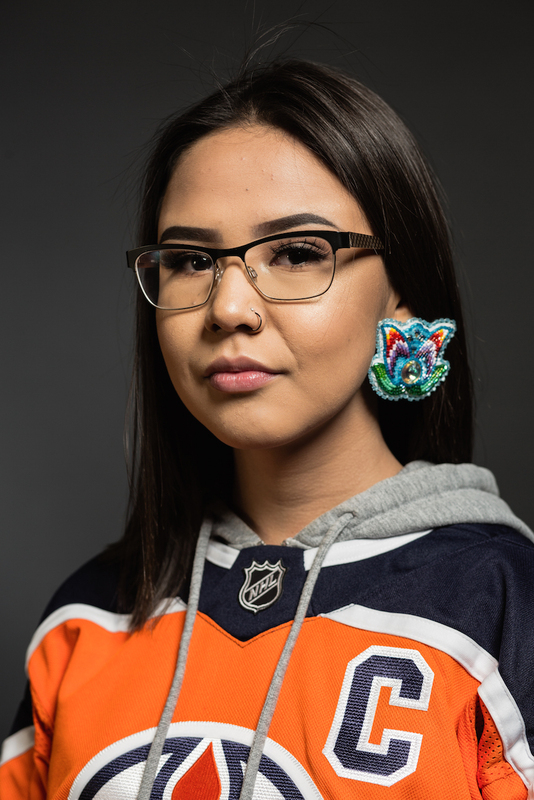 She started beading to make dance regalia for her children and has since gone on to bead custom hockey logo medallions for notable people such as Edmonton Mayor Don Iveson and goaltender Carey Price. Papin credits hockey with helping to keep her kids focused in school. But she didn’t expect it would help them overcome medical hardships as well. After her youngest son had a seizure in utero, his determination to play hockey with his siblings had him walking a full year ahead of doctor’s predictions. He still has work to do but shooting pucks on the net out back encourages him to stretch out tight muscles and practice using both sides of his body. Despite having to deal with periodic racist comments from parents and players, Papin is proud to be a “hockey mom” .